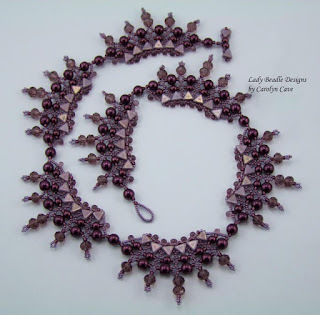 The Beadful Life @ BeadFX: Have a class or two with Carolyn Cave: Canadian SuperDuo Queen! Have a class or two with Carolyn Cave: Canadian SuperDuo Queen! We have an amazing array of talent in Canada and sometimes they don't get the attention they deserve. 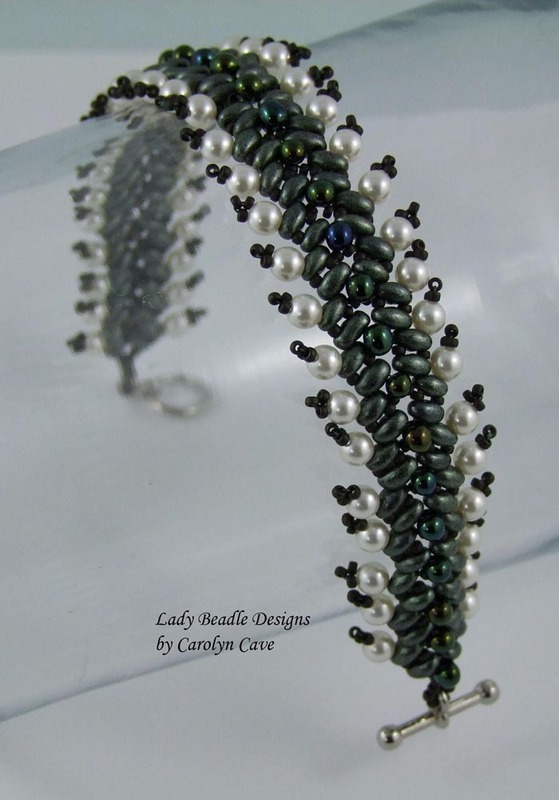 Carolyn Cave is one of those artists may be flying under your radar, but, if you like seed beading, she is someone whose work you will love! We're proud to have Carolyn join us at BeadFX to teach 6 half-day classes that feature a variety of beading stitches. 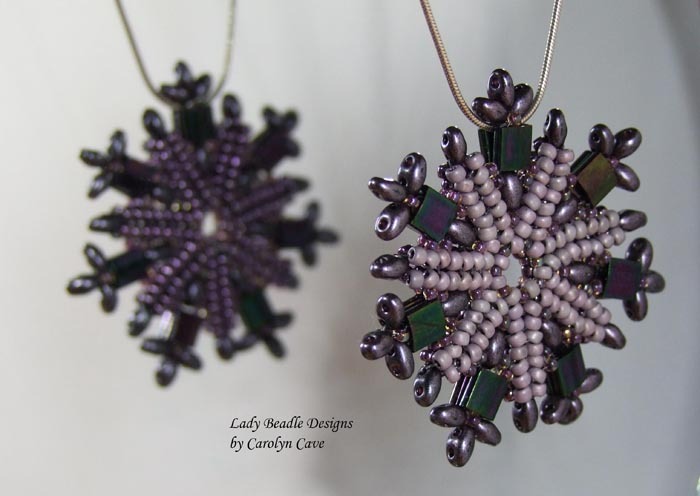 A self-taught bead artist living in Alberta, Canada, Carolyn enjoys the endless creativity derived from stringing and stitching “little, round, shiny things with holes in them”. This is both a frustrating and exhilarating way to fill in the spare moments of her very full days as a wife, mother of three young ladies, and musician. 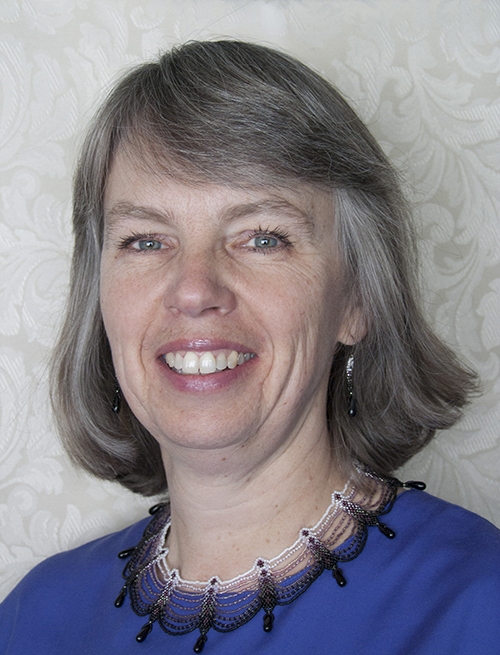 Her creations are inspired by a wide variety of things – the colors and shapes of the natural world, works of vintage and antique beaded art, the encouraging comments of her family, and the many hours spent “composing” with needle, beads and thread. Her work has been published in BeadandButton and Beadwork magazines, and she has been a winner in multiple categories of BeadStar every year since 2011. Carolyn is also the author of the book Beautiful Designs with SuperDuos and Twin Beads, published by Kalmbach. 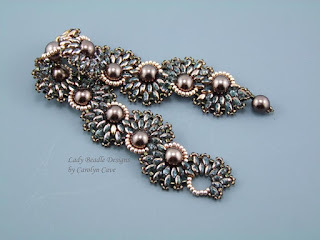 This project comes from my book, Beautiful Designs with SuperDuos and Twin Beads, page 66. Each student should have their own copy if they would like to take this class. Supplies are listed to make the colour scheme photographed in the book. Students should choose their own pendant, and should also feel free to choose colours of their own. The book is available from BeadFX. Level: Beginner. This project is pictured in my book, Beautiful Designs with SuperDuos and Twin Beads, on page 98 and the back cover, as a design option for one of the necklaces. 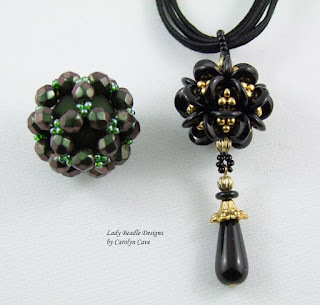 I received many requests for the pattern and it is a class at the 2016 Bead and Button Show in Milwaukee. If you weren’t able to get to the Show, this is your chance to learn how to make this lovely bracelet. Supplies are listed to make the colour scheme photographed in the book, however students should feel free to choose colours of their own. Students will be required to purchase the book, available from BeadFX. Level: Beginner. In this class you will learn how to make a basic dodecahedron beaded bead. From there you will make a second beaded bead with different materials creating an entirely different look. This “Constellation” will then be made into a pendant. Level: Intermediate; seed beading experience is required. 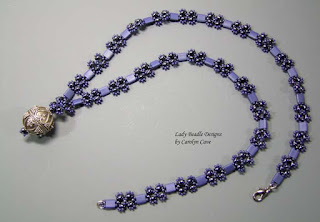 This project comes from my book, Beautiful Designs with SuperDuos and Twin Beads, page 25. Each student should have their own copy if they would like to take this class. Supplies are listed to make the green bracelet photographed in the book. Students should feel free to choose colours of their own. The book is available from BeadFX. Level: Beginner. A few years ago I made a design for the Bead Star competition. It was published in Bead and Button magazine not long after that, at the request of an admirer. This is the design reworked using the triangular Kheops par Puca beads. Level: Intermediate; seed beading experience is required. This project comes from my book, Beautiful Designs with SuperDuos and Twin Beads, page 76. Each student should have their own copy if they would like to take this class. Supplies are listed to make the pendant photographed in the book. Students should feel free to choose colours of their own. The book is available from BeadFX. Level: Beginner. Complete details about each class is on-line now. Go to www.beadfx.com and click on 'Classes'. Follow the links to the July class calendar. No refunds, credits or cancellations will be permitted for these classes. Student substitutions may be made at the time of cancellation as long as prerequisite requirements are met, otherwise students on existing waiting lists will be contacted.